Every diamond, whatever its colour, shape or size, is beautiful and unique. So are YOU! The question is – do you see it? Sometimes through life’s experiences, we can feel tired, empty, lost, confused, maybe even trapped. We wonder what life is all about. We feel dull and lifeless; we lose our sparkle. When this happens, it’s clearly time for a polish! Open your heart and connect with the diamond within you, your potential. Appreciate who you are, every single facet. Claim your value and find your unique voice. Allow your intrinsic light to shine through, and live life fully! We offer a range of programmes to suit different needs. Choose your journey here. Whichever you select, you will journey to your heart. Let me help you shine! Polishing The Diamond – Get the book! 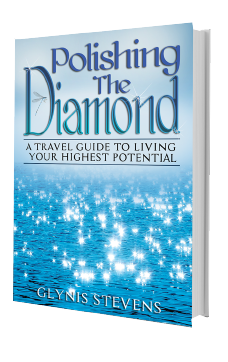 When you decide that it’s time for you, you want to take care of your diamond and shine bright in your world, contact Glynis and we can arrange to have a conversation when you can discuss your journey. If you are easily swayed by what is happening around you and want to be more decisive in making choices, this programme will help you to understand who you are and see where you can trip yourself up. This is a free online course with six simple exercises, based on excerpts from ‘Polishing The Diamond’, that can be done in your own time, at your own pace. You can choose to go slow, or zoom through it! Sign up here and begin to know who you are beyond any illusion that you’ve not got what it takes. If you’re going through some change in life, you may feel you’ve forgotten who you are, our programme will help you remember so that you have the confidence to take the steps forward that you may be fearful of taking. It offers six simple exercises and your personal copy of ‘Polishing the Diamond’, and comes with mentoring support by email. Sign up here to find the confidence to create the life you want. Let me help you shine! When you decide it’s time for you, you want to understand who you are and why you’re here, discover the diamond within your heart and claim your value. The diamond is a symbol of the richness of who you are. Every diamond is unique. We come in different sizes, shapes and colours. Get to know the 4 C’s of who you are. Discover more in our 12 week programme.. Being curious, I enjoy meeting people from different backgrounds and cultures. 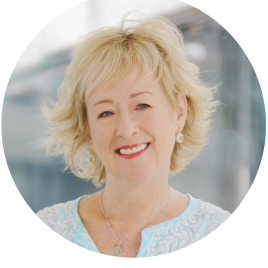 I’m a bit of an adventurer and love to travel, so it’s an absolute delight to help clients around the world who want to go on the journey to align with who they are. I’ve had an interesting life, pretty amazing, with lots of learning experiences, some of them challenging that caused me pain… that led to a need to control and know what is going on all the time…and limit myself by not being open to spontaneity and possibilities …who is learning to move beyond that. I’ve experienced struggles. My personal challenges and fears pushed me into who I’ve become, and, in resolving my fear that I had no purpose in life, I’d never survive alone, I not only survived, I thrived! I now help people going through their own challenges to see who they really are, to see what’s in their heart and what they are capable of so that they feel strong and empowered.